To be fair, not counting the reboots such as FireRed and SoulSilver, the last new Pokemon games I played were the Generation III Ruby and Sapphire Versions back in 2003. 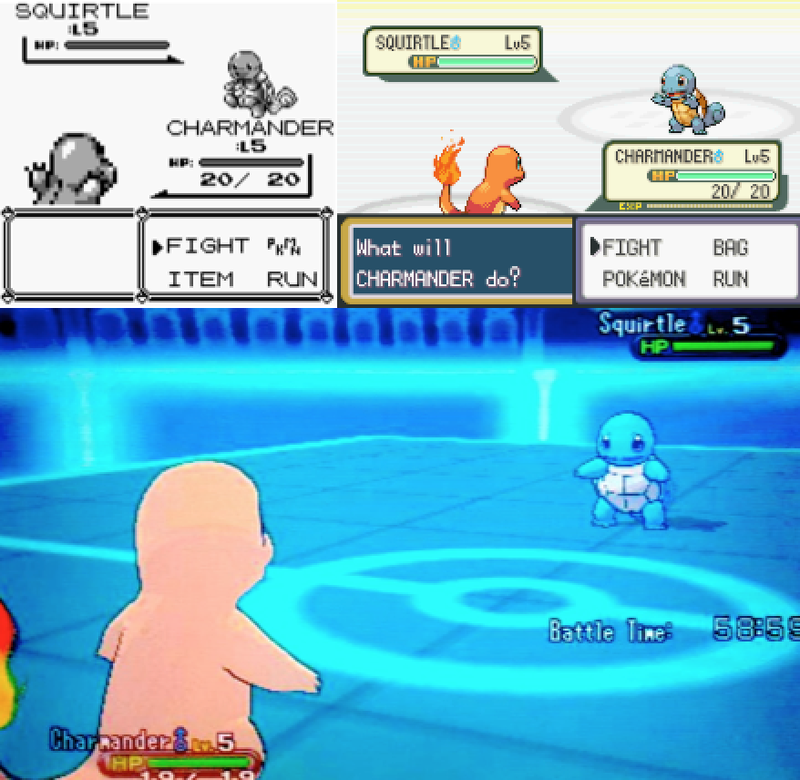 A decade later, we are now up to Generation Vi with over 700 species of Pokemon. With recently added Pokemon having powers over life and death, time and space, and some even being the vengeful spirits of deceased humans, the relationship between man and Pokemon has certainly changed a lot since the early days. But I’ll save that topic for another day. For now I’ll break this game down into three simple parts: The Good, The Bad, and The Superfluous. 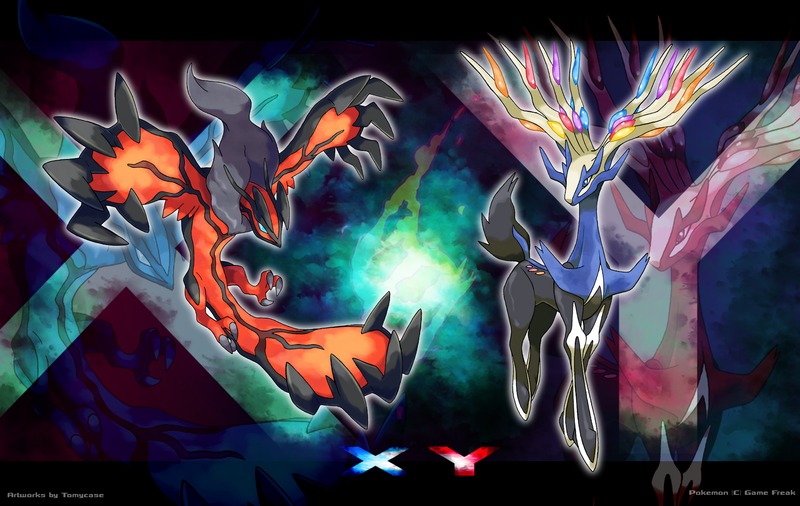 While most aspects of Pokemon X/Y’s story might seem laughable, do not underestimate them. Team Flare is the perfect example of this. 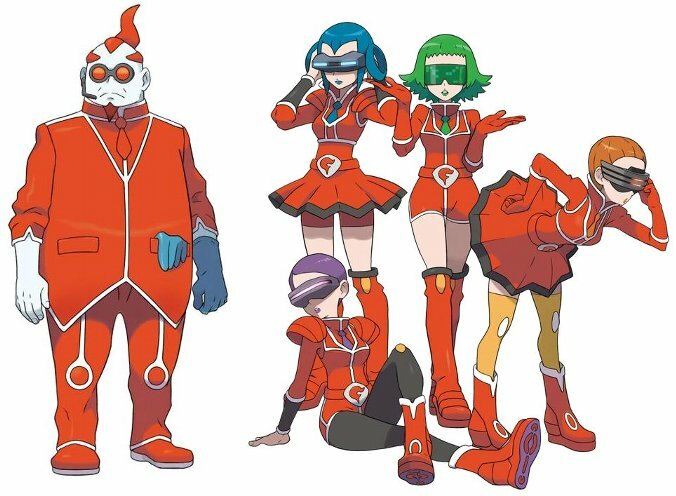 Whereas at first they look like your run of the mill Team Rocket wannabes, they are in fact one of the most insane criminal organizations yet. Sure they go about stealing Pokemon and taking over buildings, but that’s just a means to an end. Their true goal is non-biased mass genocide. By using an ancient weapon that is powered by the lives of Pokemon, they plan on vaporizing all life within the Kalos region in order to return it to its former beauty – at least this is the story in Y.
Ouch! Right in the feels . . . . So we have our crazy antagonists, but what about heartbreak? This comes in the enigmatic character known simply as AZ. Apparently a king who lived over 3,000 years ago, he lost his beloved Pokemon and constructed that previously mentioned weapon in order to revive his long lost friend. 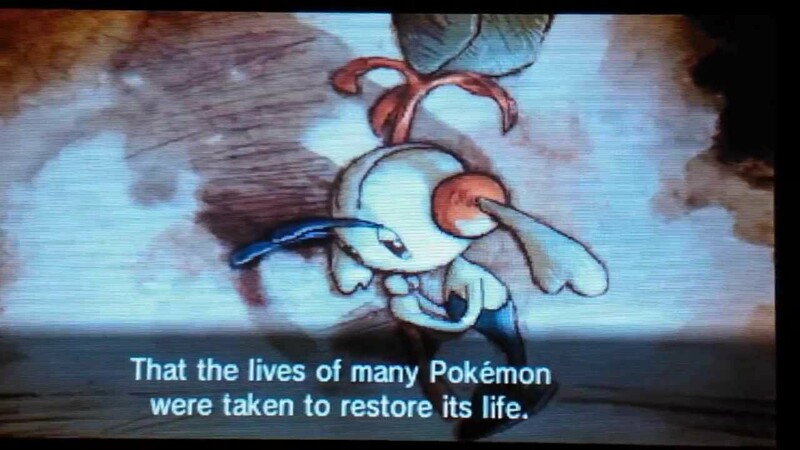 AZ’s Pokemon then left him after it learned of all the lives that were taken to restore its own. Between races against time and emotionally touching moments, this is by far one of the most story-driven Pokemon games I’ve ever had the privilege to play. I realize this game introduced far fewer new Pokemon than any of its predecessors, but why does almost no one in this game carry the maximum of 6 Pokemon with them. Even the Elite Four, the best of the best, only carry 4 Pokemon with them. I remember the Elite Four as being some of the most grueling matches ever. These were the Pokemon battles you trained hard for and still carried loads of Revives and Hyper Potions with you. The champion you face at the end is probably the only one in the game with 6 fully trained Pokemon, but even then it’s a very easy battle. If the Elite Four and the ordinary trainers follow this path, you can be sure the gym leaders do too. The hardest part of gym battles in this game was finding out which building was the gym and then solving the puzzle inside. 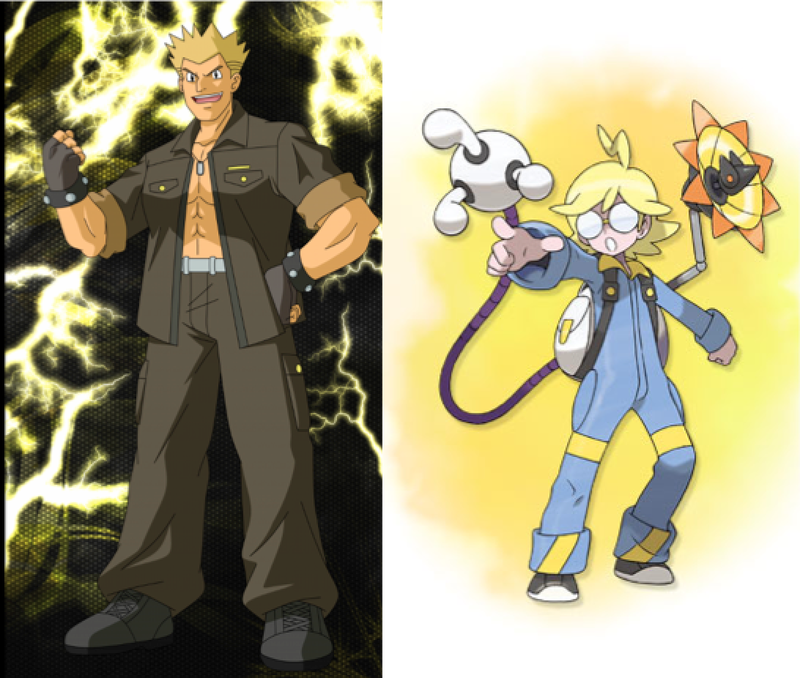 In addition to this, they don’t even look like gym leaders anymore. Gym Leaders were once regarded as masters in their field. The person you had to beat in order to showcase your power as a rising star. The original Electric Pokemon Gym Leader Lt Surge was an army man. The Electric Pokemon Gym Leader in X/Y is a small child in a onesie with a tinker toy backpack. Looks like the tests to become a Gym Leader have gotten much easier. One thing that has definitely been upgraded over the years is the graphics. From the grainy black and white of the original GameBoy versions to the 3D graphics of X/Y, Pokemon has come a long way, but was it for the best? While certainly impressive, the new graphics of X/Y are at best unnecessary. At worst, they’re nausea inducing and unimaginative. The cut scenes introducing legendary Pokemon are truly awe inspiring, but their cost is not worth what was taken away. The graphics are basically thrown at you to take your mind off what’s lacking. Remember earlier when I was commenting on how easy the Elite Four were? They are a prime example of this. Each Elite Four member has their own cut scene as their room transforms to fit their type (ie: Water trainer Siebold’s room erupts with geysers and then fills with water). It took longer for that cut scene to play out then it did to beat him. Not the time to try new camera angles Pokemon. Not the time. Having the entire world mapped out in 3D seemed like a nice idea at first, but it’s destroyed once you reach Lumiose City – the massive central hub of the Kalos region. While it may look beautiful, you quickly realize that with over 20 different non-distinguishable streets, it is an absolute nightmare to navigate. Add in the fact that this entire city is viewed through a 3rd person perspective rather than the standard birds-eye view of the rest of the game, and you have a recipe for something awful. Even the stand-out Pokemon Centers with their bright red roofs are camouflaged by the countless cafes and specialty stores, which also all have red roofs now. Yes there is a Taxi system for the city, but it’s a pay for service and it’s even more frustrating when you find out the building you spent the last 10 minutes trying to find was actually the next block over. Between the layout and camera angles, this city will truly have you running around in circles. Let’s round out the graphics discussion with the 3D Pokemon models themselves. I remember seeing these in Pokemon Stadium for N64 back in 2000 and whereas there they were a fresh novelty, here they seem even more static. 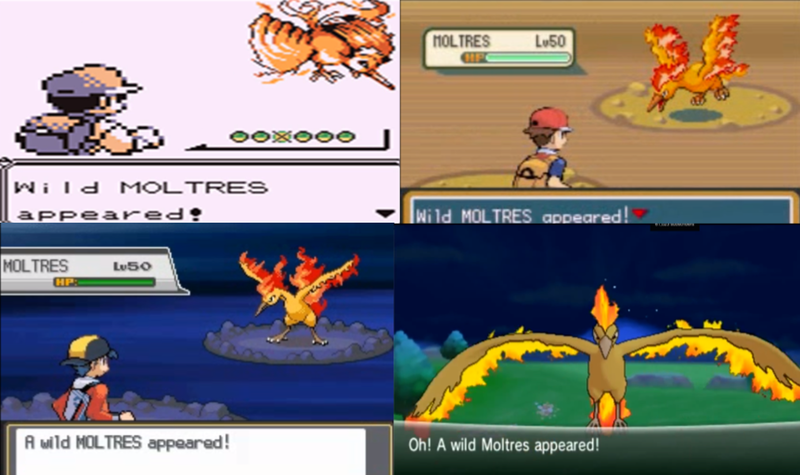 Take the images of Moltres through the years. No matter the image quality, you could look at them and imagine this fiery Pokemon. With a full 3D model in front of you, there’s nothing left to our imagination. And honestly, isn’t that why we loved Pokemon in the first place – because they inspired our imaginations? Pokemon has always inspired our creativity and imagination since we were young, but now it seems as though all the imagining is being done for you. I know my views in no way represent everyone out there. 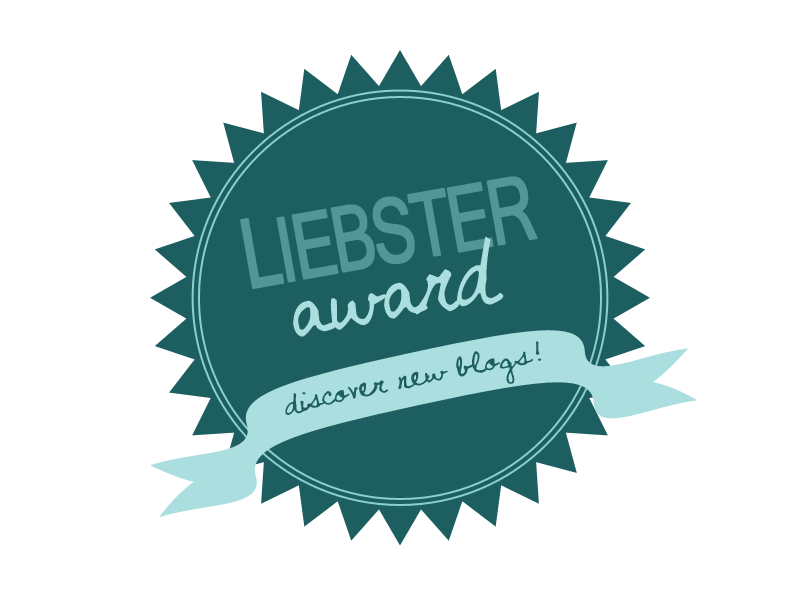 So please be sure to comment and let me know what your thoughts are. I would love to hear from all of you.